£590 + VAT for an in house course of up to 12 people (price excludes reasonable expenses). Many companies use contractors to supplement their existing staff, with good reason as there are often activities, such as maintenance and other specialist tasks which they are unable to perform or not competent to carry out themselves. Often these tasks are hazardous, such as work at height or entering a confined space. However contractors also carry out simple tasks, that Client organisations could undertake themselves, but prefer to contract out, such as cleaning. Contracting work to other companies has been growing for many years. Very large companies often contract out entire areas of their undertaking, such as facilities management and catering to large contractors. Clients and contractors in these situations often share the same workplace, so cooperation and coordination is essential and a legal requirement. 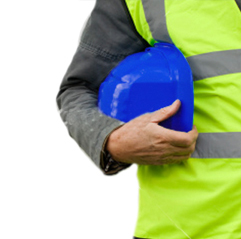 Clients and Contractors owe each other a duty of care which is stipulated in common and statute law. There is enormous potential for harm to people if contract work isn’t properly managed, the potential financial loss can devastate both client and contractor organisations. This course is aimed at explaining in a clear and simple way how contract work should be managed. It clarifies the general health and safety responsibilities of clients and contractors to protect each other, their workforce and anyone else e.g. visitors and members of the public. Assess current practices and procedures and make improvements as necessary. If a control system doesn’t exist, be able and confident to implement a system for contractor control in accordance with the law, guidance and best practice. Anyone who has responsibilities for contracted activities. 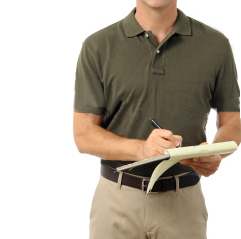 Typically Managers, Supervisors, Safety Advisors, Facilities/Building Managers. This course will also benefit organisations that contract their services to Clients or all sizes, as it is likely to help them prepare tender documentation and complete pre-qualification assessments presented by Clients. Understand the consequences for organisations if failures occur. Have an appreciation of the typical hazardous activities that are often contracted out the control measures that need to be adopted.. Understand how a control of contractor system/procedure works and the typical steps involved. Understand the requirements for and content of documentation involved in contractor control, such as method statements, pre-qualification questionnaires and contractor handbooks. The legal background to contractor control. Key definitions – contractor, risk assessment, method statement, safe systems of work. Examples of hazards activities contracted out to others. Documentation associated with contract work. Introduction to the – 6 Step system for controlling contractors. STEP 1 PLANNING: Planning for contract work. 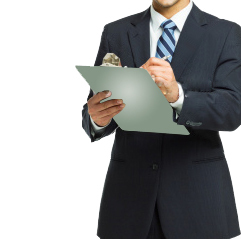 STEP 2 PRE-QUALIFICATION: Prequalification of contractors. STEP 3 SELECTION: Contractor information provision prior and during work. STEP 4 BEFORE WORK: Method statement preparation and checking. STEP 5 DURING WORK: Monitoring contract work. STEP 6 REVIEW OF WORK: Reviewing contractor work. The course is assessed by a 20 multiple-choice questions covering the course content. A certificate is awarded on successful completion of the test. This course is delivered by Phil Douglas who has vast practical experience in industry of designing, implementing and auditing control of contractor systems. Phil is considered to be an expert on control of contractor systems; including their design, implementation and operation. Control of contractors is so critical to workplace safety, it needs to be taught by experts who understand the systems and the common pitfalls which can occur in their operation and lead to workplace fatalities. If you don't currently have a control of contractor process/policy/procedure at your workplace, you can simply adopt our simple policy and associated templates provided in handout form (MS Word format) provided as part of the training. Saving time and money! The course documentation is worth more than the course itself, and a good reason to arrange a course and assure you and your company, that this area is being managed.